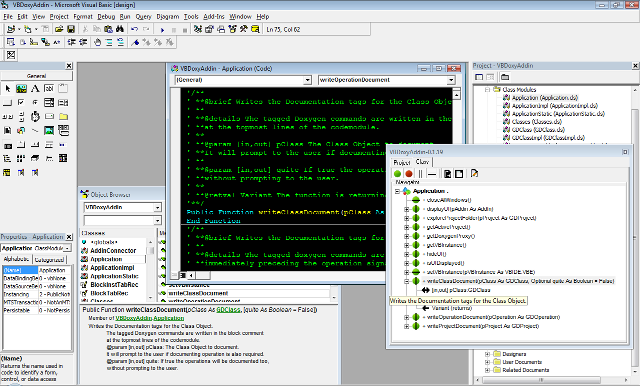 Code Browsing, Management and Documentation tool for Visual Basic 6 Developers. Visual Basic 6 Add-in Application to help developers to manage their own projects. Maintains organized project structure, navigates in depth the hierarchy of object elements, manages code comments, helps describing source code, produces documentation (integrating Doxygen) and helps UML Modelling exporting the project as XMI. I (javacioc) started to develop this Add-in for Visual Basic 6 developers, initially, as a front-end of Doxygen. I needed to have, as a developer, a tool could help me to comment every part of the source code, developed and in development, to produce a good quality documentation readable through any web browser, almost like Javadoc does for the software developed in java. I immediately found a good opportunity with Doxygen. Doxygen is able to generate documentation, cross project for source code and much more (the Doxygen manual is written using Doxygen), it is used for most known programming languages. But, not for VB 6 ... not completely. At the beginning I used the script provided by Mattias Henze (here) but I was constrained to write by my own the comments before any procedure respecting the Doxygen grammar introducing "tags" (commands) as extra step to the activity. The script itself was not covering every behavior I espected. 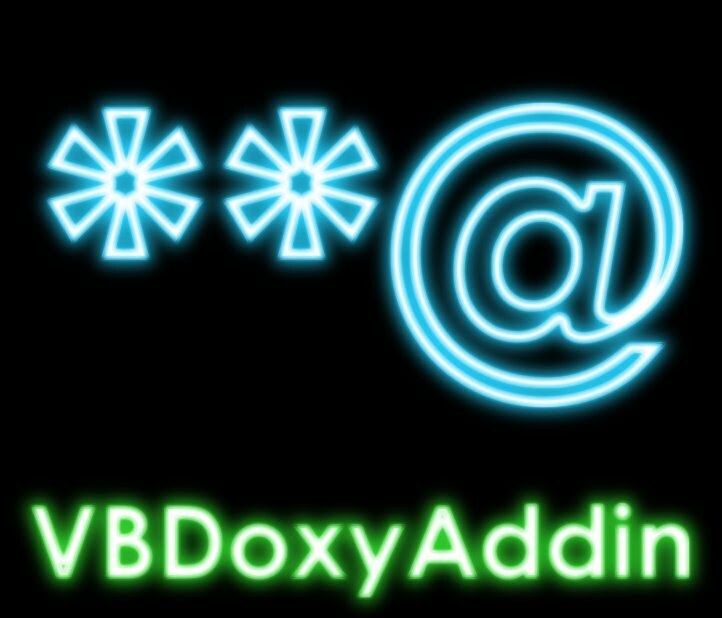 So I started creating the add-in wich is able to recognize the component elements introducing the comments with Doxygen commands and after completing with descriptions it is able to generate files to be parsed by Doxygen avoiding the use of the script and all its dependencies. Ok, this was just a starting point, VBDoxyAddin has been evolved and now many features have been added, have a look below and on the Features page to know more or just Download and try it!